Hi friends, and welcome to the party! I can't wait to see what everyone has been up to this week. I am loving seeing all those Valentine's Day post. I know those Super Bowl post are also in the works. Thank you so much for stopping by to share with us. You all are so amazing! 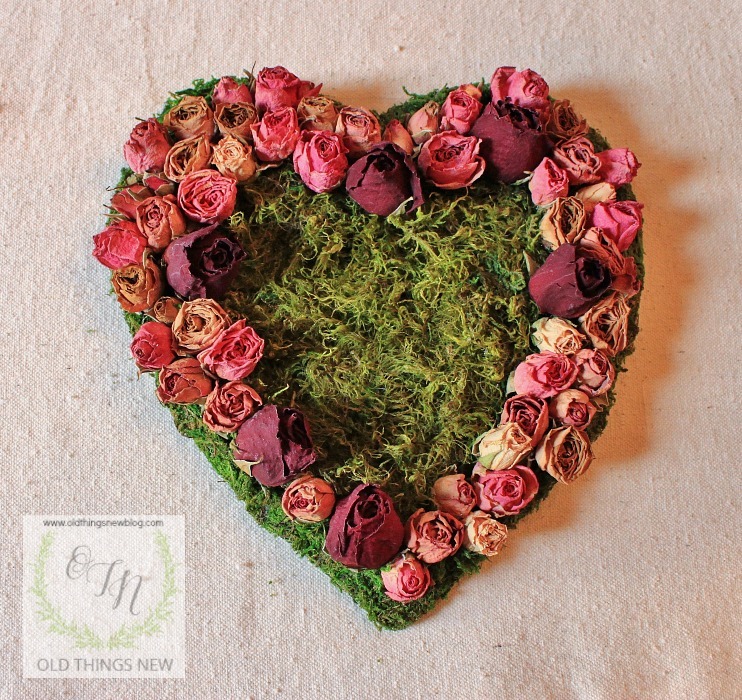 Old Things New shared this gorgeous dried roses and moss Valentine's Day heart. 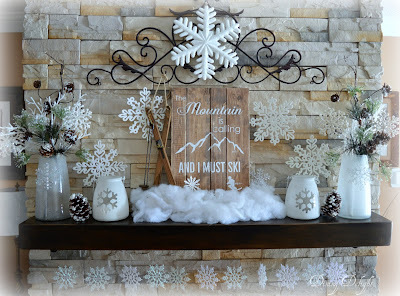 Dining Delights shared her beautiful ski themed winter mantel. Gluesticks shared this awesome reupholstered vintage dining room set. Lolly Jane shared her awesome DIY laundry room makeover on a budget. 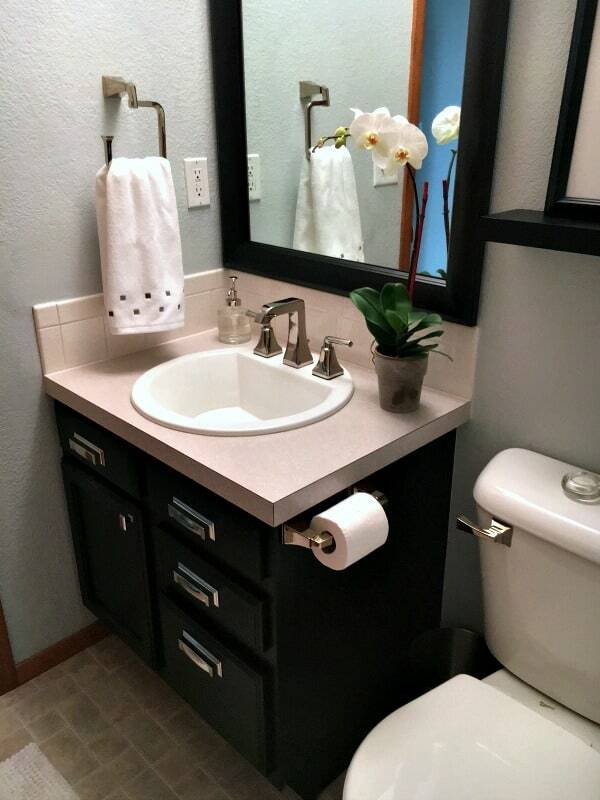 Inspiration for Moms did a fabulous job on this half bathroom remodel. One More Time shared a great way to create dining room wall decor using decorative curtain rods. 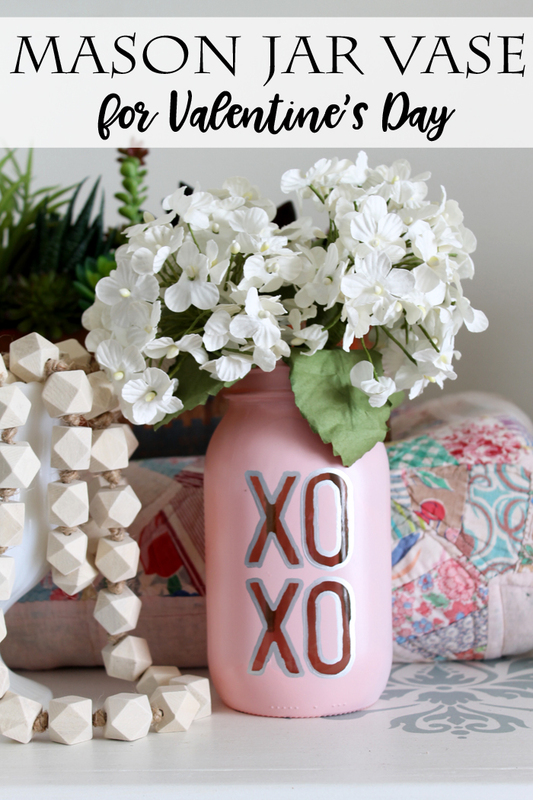 The Country Chic Cottage shared this adorable Mason jar vase for Valentine's Day. 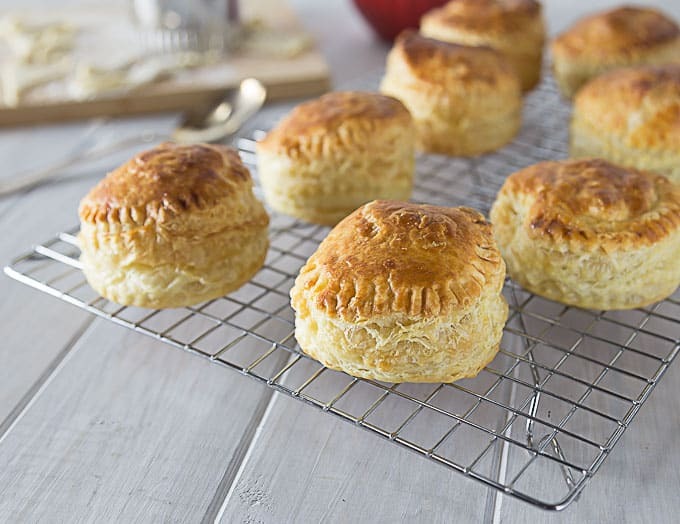 The Ethnic Spoon shared these Spiced Chicken Puff Pastries that look so delicious. This Cheesy Broccoli Egg Bake by Courtney's Cookbook looks so yummy! 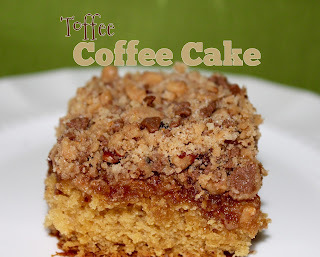 Living on Cloud Nine shared this Toffee Coffee Cake that I can't wait to try. 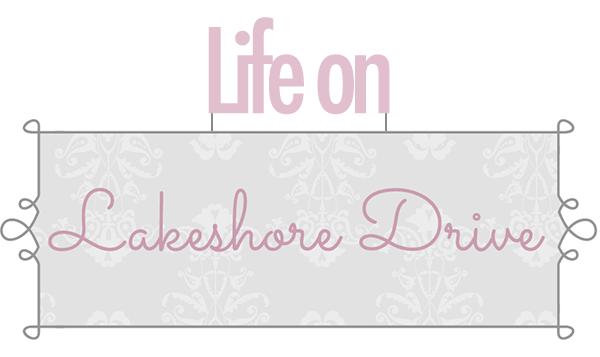 Dazzle While Frazzled is the featured blog this week. I love this awesome DIY sweater winter wreath. 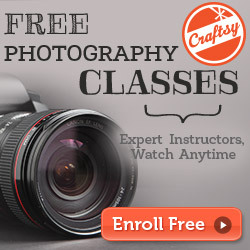 Check out this great blog where you will find lots of inspiration! Aww thank you for including my Toffee Coffee Cake. I hope you enjoy it as much as we do. 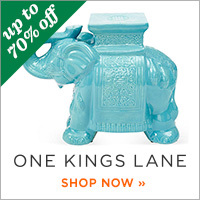 Love this fun and inspirational party! Happy Weekend!! Thank you Kathy for Bouquet of Talent 230, always appreciated. Wonderful features. Saw that coffee toffee cake featured on another party. You're all seriously making me want to bake it right now, lol. Enjoy your weekend and thanks for hosting! Thank you so much for highlighting that my Ski Themed Winter Mantel was one of the most viewed on your amazing party link up last week. 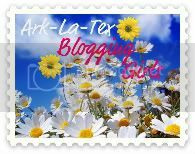 I'm thrilled to be among such wonderful and inspiring posts. And thanks for all your efforts in hosting this weekly get-together and allowing us to link up. 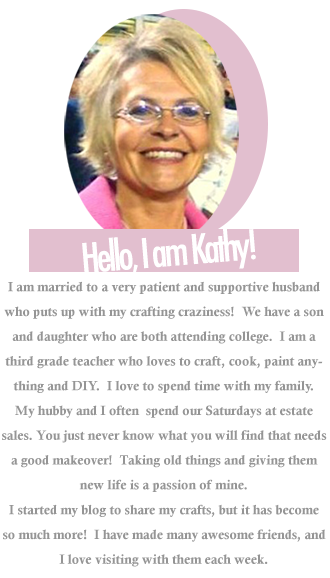 Kathy, gorgeous features this week. Thanks for hosting! Hi Kathy, a little late to the party this week. Thanks for hosting and have a great week! Thank you for hosting, Kathy! Loving all of the posts! Thank you so much Kathy for sharing my dried roses Valentine's heart. You are the best! hmm..interesting.. i always wanted to decorate my bathroom with some plants like orchid or violets or some fragrant houseplants like arabian jasmine..or even cuban oregano..but what i am always afraid of is a possibility of these plants withering since there are no winders in my bathroom..and not quite sure there are plants that grow without sunlight..anyways,,at least am thinking of buying a cactus for my working place at jet writers company..